Description: Wild West, Genco, 2/55, two players take turns at shooting. 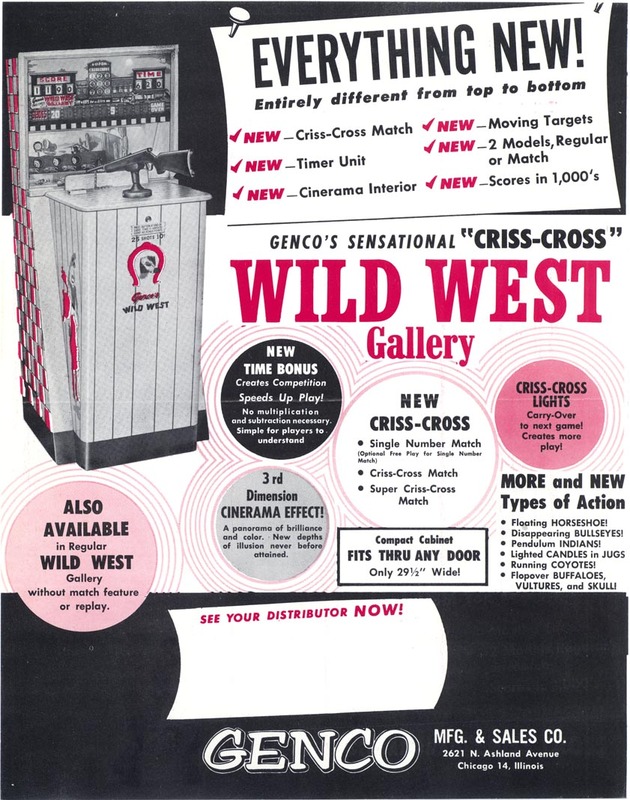 Has a new Criss Cross match feature, so game is often said as Genco Criss Cross Wild West. Also available in non-match regular "Wild West" format. Has a timed bonus too.